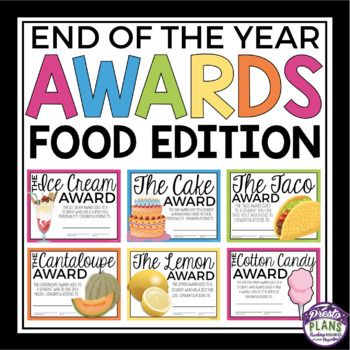 END OF THE YEAR AWARDS FOOD EDITION: End your school year by giving your students these 30 ready-to-print awards! 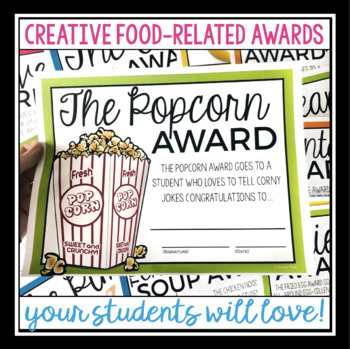 Each of the awards uses a food to describe a student's personality. For example, The Lobster Award goes to a student who always helps others in a pinch. The Cotton Candy Award goes to a student who always gives a task a whirl, even if it's difficult. The Ice Cream Award goes to a student who has a super chill personality. 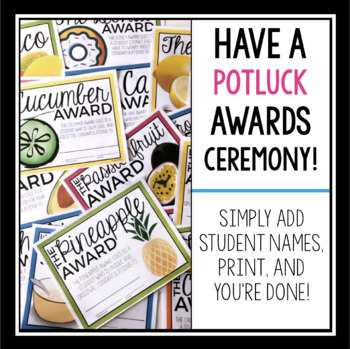 A list of the awards with the qualities is included for you to easily assign each award to students in your class, and a Powerpoint file is also included so you can type student names and dates in before you print! 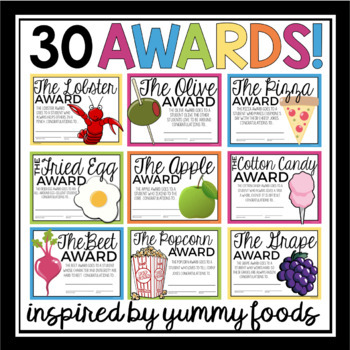 Click the preview button under the product images to see a few examples of the awards!